Take It, Make It Challenge Six! It was great to see all your entries for our splatter challenge, we can't wait to see what you all come up with for this one! 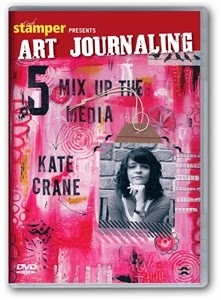 This month, we have two brand new DVDs by Craft Stamper DT member Kate Crane to be won! 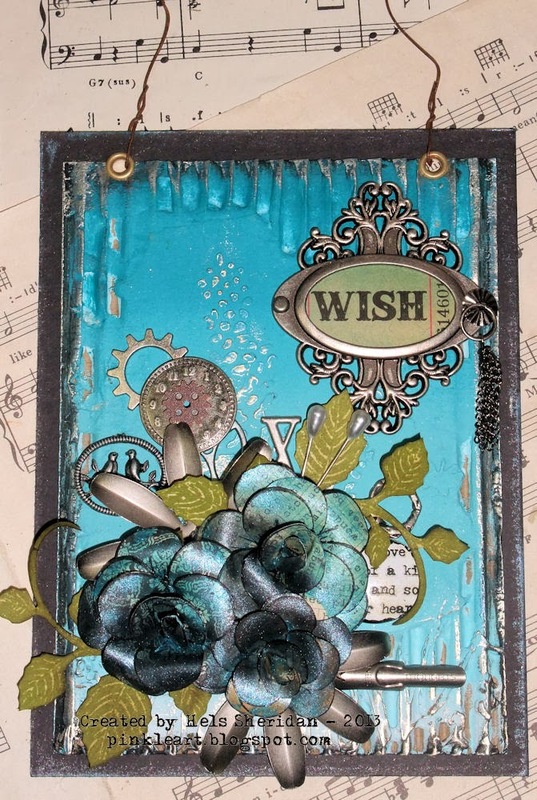 In Art Journaling 5, Kate shows us how to turn all kinds of hoarded and recycled materials into gorgeous pages for a junk journal. Lots of inks, paints and wonderful backgrounds! 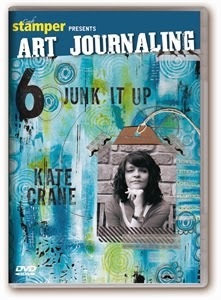 In Art Journaling 6, Kate finishes the pages using doodling, collage, rubber stamps and much more! 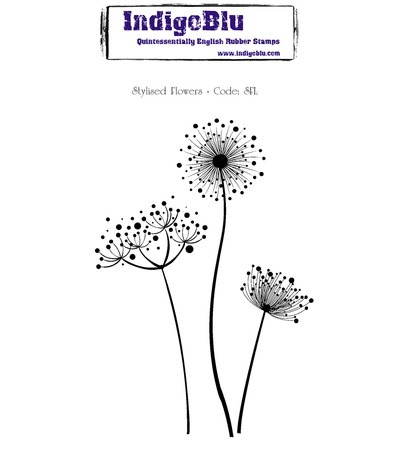 The pages are then bound together to create a very special junk journal! These DVDs are such a wonderful source of inspiration! PLUS:The Design Team will have a look at all your gorgeous work, and choose their Top Three..... and the overall Winner will get published in Craft Stamper magazine! Yep, the winning entry will appear in the UK's number one stamping magazine! Did you see our fourth winner in print? 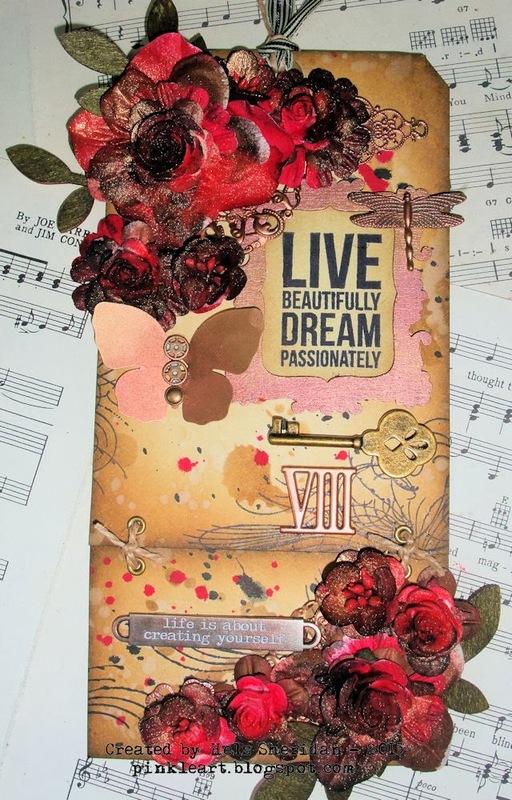 Elly's fantabulous tag book was featured on page 61 of the January issue..... that could be you! AND: We have decided to add another little incentive into the pot! 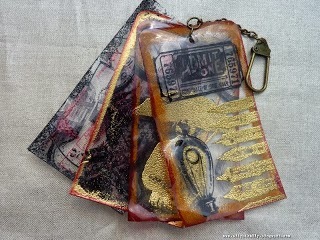 Our winner will be the featured Guest Designer for the midway reminder post for the next challenge! So, to recap....Two DVDs, publication AND a Guest DT spot? Sounds good to me! 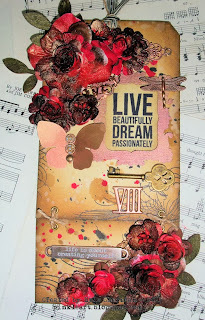 Sylvia Blum has a beautiful card project on pages 6-8 of the January issue, using the ombré technique of adding colour. This technique is a simple but effective way of blending colour in a gradient of light to dark (or vice versa!) Don't panic if you haven't got hold of this issue yet, the challenge lasts for a good few weeks, so you have plenty of time to grab a copy, get inspired and enter! So, we would love to see your creations using The Ombré Technique.....your project can be anything at all, card, layout, 3D item etc, any theme or colour, AS LONG AS YOU HAVE USED THE OMBRÉ TECHNIQUE ON THERE SOMEWHERE! Oh, and stamping too, this is a Craft Stamper challenge after all! All entries must feature the ombré technique AND stamping. No digi stamps please, unless combined with actual stamping. Entry is via the linking tool at the end of the post. We are very sorry that we can't accept email entries to this challenge. Please provide deep links to your actual project post, not just a link to your blog (to do this, click on the title of the relevant blog entry and copy/paste the URL in the relevant box when uploading your entry). When judging many entries, the DT do not have time to go searching your entire blog for the project we want to see! No backlinking, new work only please. Multiple entry is fine, as long as each piece is original and fulfills all the entry requirements. 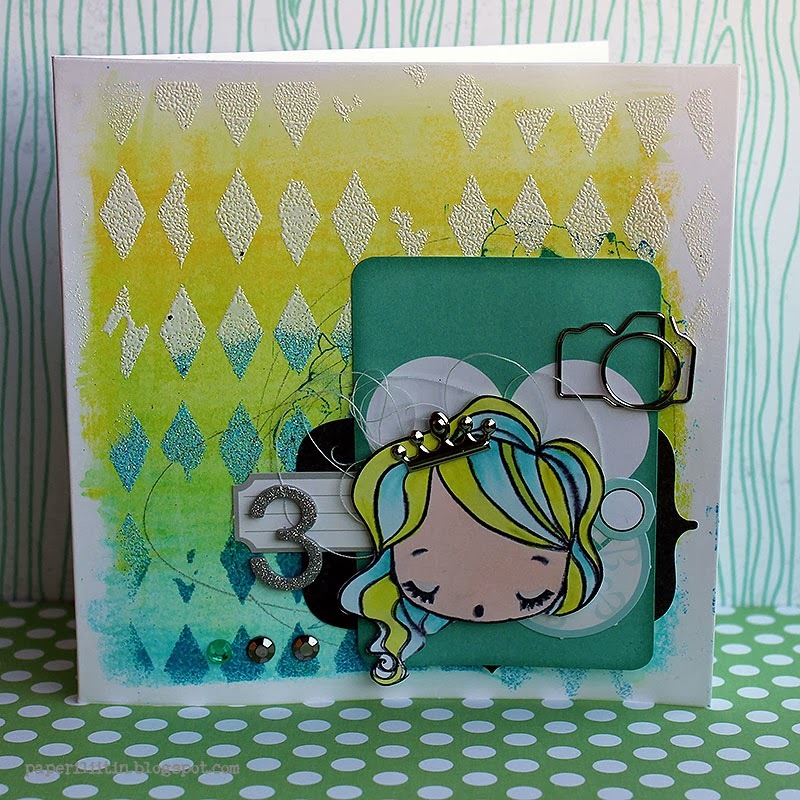 Entries can be combined with other blog challenges, as long as a link back to the Craft Stamper challenge is included in your blog post. The seventh challenge will be announced here on Friday February 14th 2014. Take It, Make It Challenge Five: The Winner! Thank you so much to all those who played along with our fifth challenge -Splatters. We were absolutely delighted that so many of you played along with this one! We loved the gorgeous background and autumnal colours! Loads of fabulous stash to be had in the shop, you'll be spoiled for choice! A huge THANK YOU to all those of you that took part in our splatter challenge, and we can't wait to see what you come up with for our next one. You don't have to wait long for that either, check back here on FRIDAY this week for the big reveal! 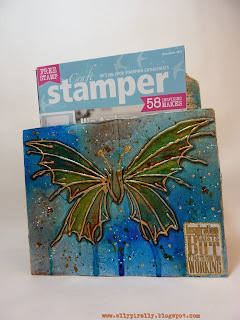 Would you like to see your work published in Craft Stamper? Then read on for details of our forthcoming Ready, Set, Stamp themes! 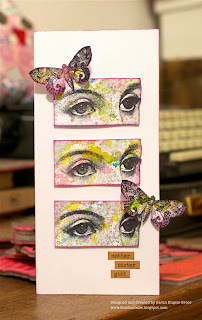 This gallery for for quick and easy stamped cards that can easily be completed in half an hour or less. General cards that mix punched shapes with stamping. International submissions welcome but you must be willing to send your card into us by post. All entries printed will receive a complimentary copy of Craft Stamper magazine. Please note that we regret, due to the volume of enquiries, that we cannot respond to every submission. Take It, Make It Challenge Five- Halfway Inspiration! Why not have a go at out latest blog challenge? Now, a little more splattery inspiration for you! We can't wait to see more splattery challenge entries....don't forget to tell your friends and share the challenge on Facebook and Twitter! The more the merrier! Please welcome... our 2014 Design Team!!! Here are the confirmed additions to our DT for 2014! Congratulations to everyone and a very warm welcome to the CS family. A huge thank you to everyone who applied. We had a very long shortlist and it was extremely hard to choose - hence we have taken on so many newbies! Everyone who has been selected has now been contacted, but if you didn't succeed this time please do try again for the next call. The standard was so high that many very talented stampers didn't get a spot this time around. Don't miss our special Christmas issue, on sale in the shop tomorrow (1st Nov). Our cover girl this month is Joanne Allison, who has a tutorial for some really elegant decorations for your festive tree. Plus there are lots of card designs, packaging ideas and an adorable Advent Village to countdown the days. 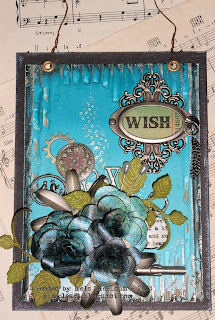 The free stamp is a gorgeous collage designed for us by myStampBox. Plus we have altered bottles (great for crafty storage), a gorgeous embossing technique using glue, our crackle Masterclass and an adorable address book made from upcycled materials by reader Sharon Dobson. I hope this issue makes you very merry! Ready Set Stamp Bonus Project! If you loved our Glitter and Sparkle RSS gallery in the November issue, then you'll love this adorable card by Sylvia Blum. We think it's brrrrrrr...illiant! STAMPS: Lawn Fawn – Critters in the Snow; Paper Smooches – Chilly Chums. INKS: VersaFine – Onyx Black; VersaMark. OTHER: white cardstock; Spellbinders Die – Labels One; We R Memory Keepers – Corner Chomper; Kaisercraft – rhinestones purple; paper piercing tool; UniBall Signo white gel pen; Stickles – Stardust; black detail embossing powder, heat tool; Tattered Angels Glimmer Mist – Pashmina, Patina. 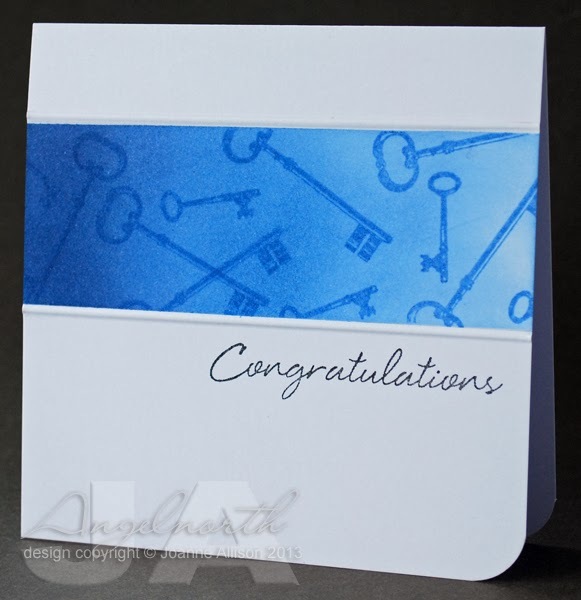 Create a white card blank and round the lower corners. Die cut a label from white cardstock. Cut a square from white cardstock and paint with purple Glimmer Mist. Let dry and sprinkle on some blue Glimmer Mist speckles. Create faux stitching using a paper piercing tool and white gel pen. Cut a banner from white cardstock and paint with blue Glimmer Mist. Stamp a sentiment onto the banner, add rhinestones and adhere to the purple square. Stamp, black emboss and cut out the polar bear. ‘Colour’ him with Stardust Stickles. Mount everything to a card blank as shown, using foam pads for dimension. 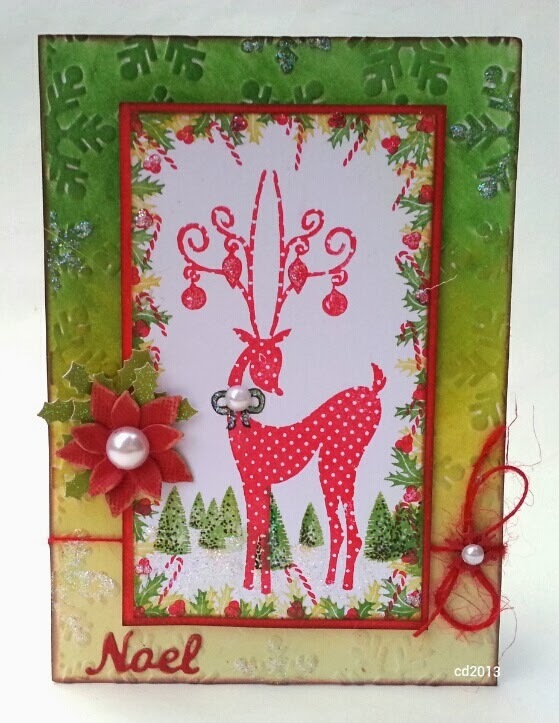 This stunning seasonal tag by the super talented Hels Sheridan was made using the technique demonstrated in this month's Distress to Impress feature. It's all about making a custom inkpad - a technique that makes production-line stamping for Xmas a breeze! If you want to learn how you'll need to get your hands on the November issue! Take It, Make It Challenge Five! It was great to see all your entries for our acetate challenge, we can't wait to see what you all come up with for this one! 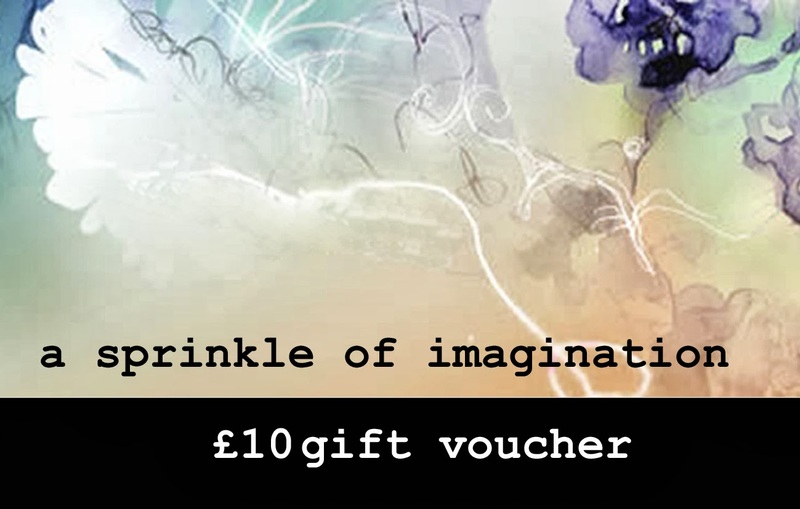 This month, we are delighted to again be sponsored by A Sprinkle Of Imagination! A Sprinkle Of Imagination are online retailers of all things mixed media, art journalling, scrapbooking and general altered art. Lots of fabulous stash to be found in the shop! The prize for the winning entry in this months challenge is a voucher to spend in the shop....you'll be spoiled for choice! PLUS:The Design Team will have a look at all your gorgeous work, and choose their Top Three..... and the overall Winner will get published in Craft Stamper magazine! Yep, the winning entry will appear in the UK's number one stamping magazine! Did you see our third winner in print? 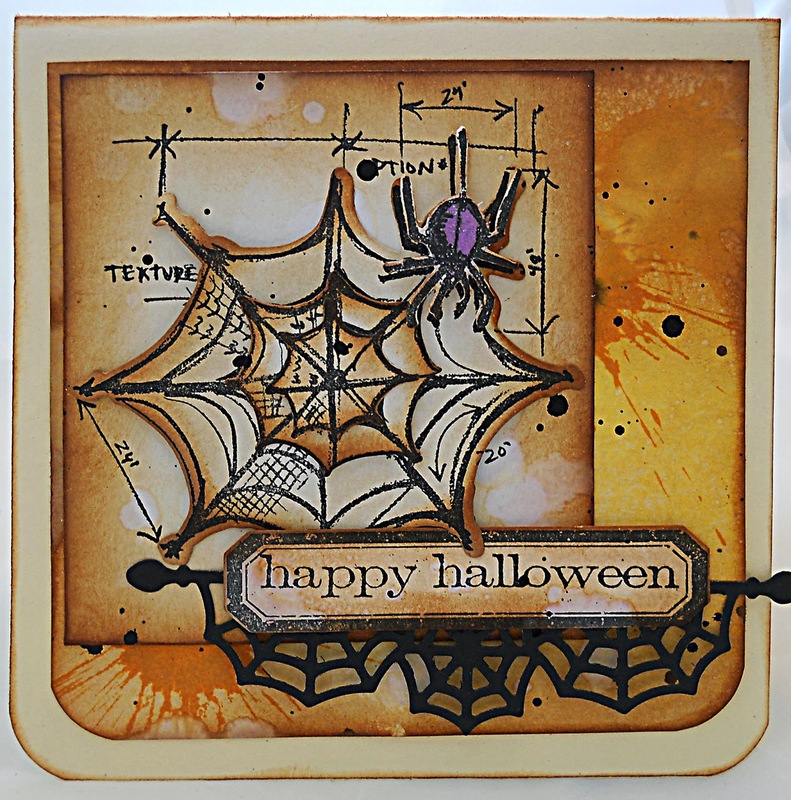 Tracy's fantabulous card was featured as the editors choice on page 60 of the November issue..... that could be you! So to recap....a prize, publication AND a Guest DT spot? Sounds good to me! 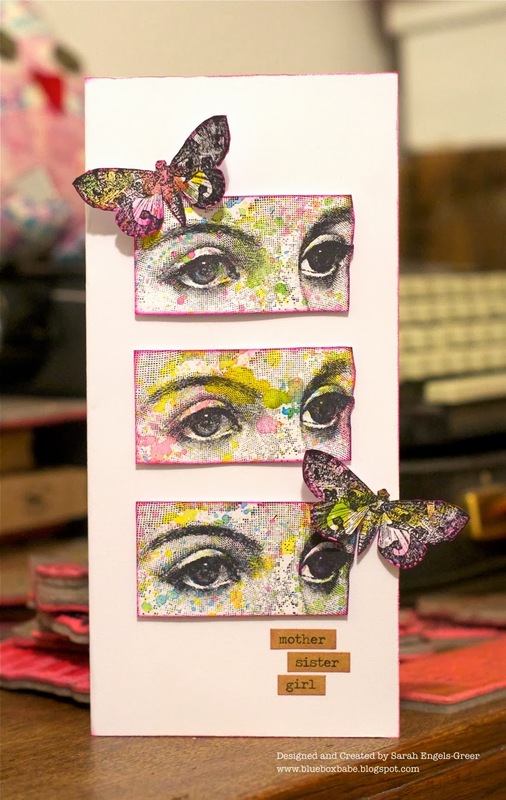 Paula Whittaker has shared three fabulous projects using different splatter techniques, on pages 80/1 of the current issue of Craft Stamper (November 2013 issue). Don't panic if you haven't got hold of this issue yet, the challenge lasts for a good few weeks, so you have plenty of time to grab a copy, get inspired and enter! 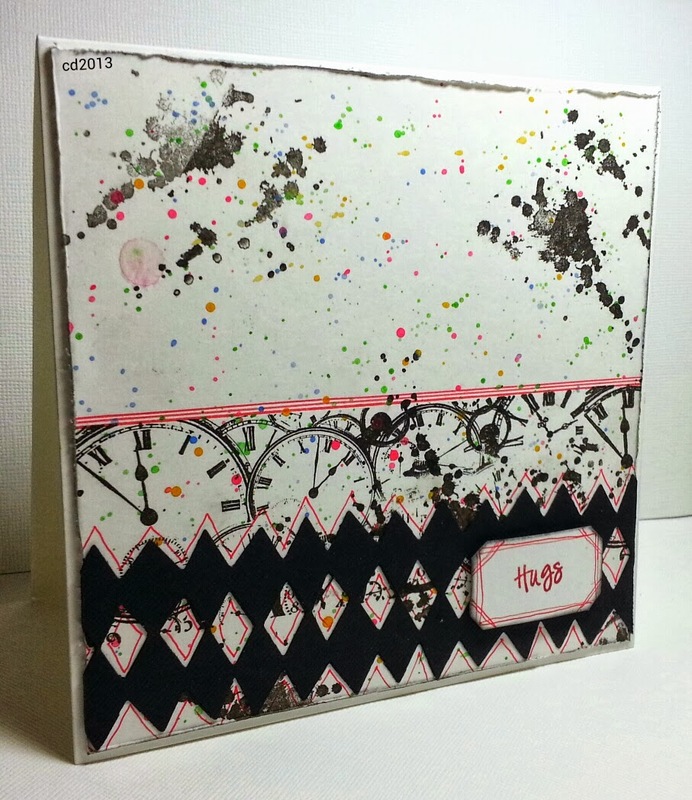 So, we would love to see your creations using a splatter technique!......your project can be anything at all, card, layout, 3D item etc, any theme or colour, AS LONG AS YOU HAVE USED SPLATTERING ON THERE SOMEWHERE! 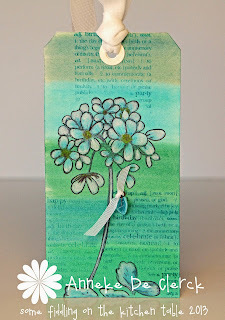 Oh, and stamping too, this is a Craft Stamper challenge after all! You DO NOT have to use the techniques showcased by Paula, (although you could if you wanted) As long as you use splatters somewhere, somehow, you're in! All you need to do now is have a read through the boring (but essential!) rules and guidelines, then upload your entry using the Mr Linky tool at the end of the post! Can't wait to see what you create! All entries must feature a splatter technique AND stamping. No digi stamps please, unless combined with actual stamping. The sixth challenge will be announced here on Friday December 13th 2013. Yes, it's that time again! We are looking for fresh new talent to join our Craft Stamper Design Team for 2014. -An ability to work to deadlines! This is a freelance, paid position on a page rate basis and designers additionally receive a complimentary copy of those issues in which they are featured. Initially DT appointments are for 3 articles over 6 months with the possibility of extension for some designers. Please include in your email some brief information about yourself and your work, as well as a statement about what you can offer Craft Stamper magazine. Take it, Make It Challenge Four- The Winner! Thank you so much to all those who played along with our fourth challenge -Acetate. We loved the detail that has gone into this piece, so much to look at, and so beautifully made too! If the Top Three could Email me (just click the 'posted by' name at the bottom of the post), then I will pass on details of how to claim the prize to the winner, and Take It, Make It winners buttons you can all display on your own blogs should you wish! For anyone else who would like to, please feel free to grab the button below! A huge THANK YOU to all those of you that took part in our fourth challenge, and we can't wait to see what you come up with for our next one. You don't have to wait long for that either, check back here on FRIDAY this week for the big reveal! New issue - woop woop! The November issue is coming very soon - on sale Friday 4th October! 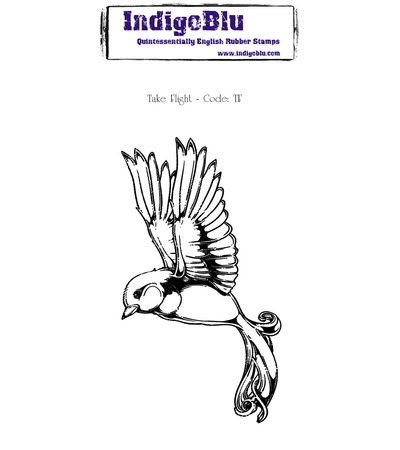 Here's a peek at the cover, with lovely art by Sarah Engels-Greer. Neon is just HUGE right now and we actually have two articles featuring this trend. Embrace your eighties side (oh how well I remember mismatched neon socks...). PLUS: We have a handful of Christmas projects to whet your appetite for next month's Christmas Special, a glittery gallery of bling-tastic cards, a rust Masterclass by the lovely Trish (this rocks) and a totally, utterly gorgeous hand stamped apron that Helen Chilton may not get back! And you've already had a sneeky peek at our Movember stamp too! I love this issue and I hope you do too! Please welcome a brand new Design Team member to Craft Stamper! 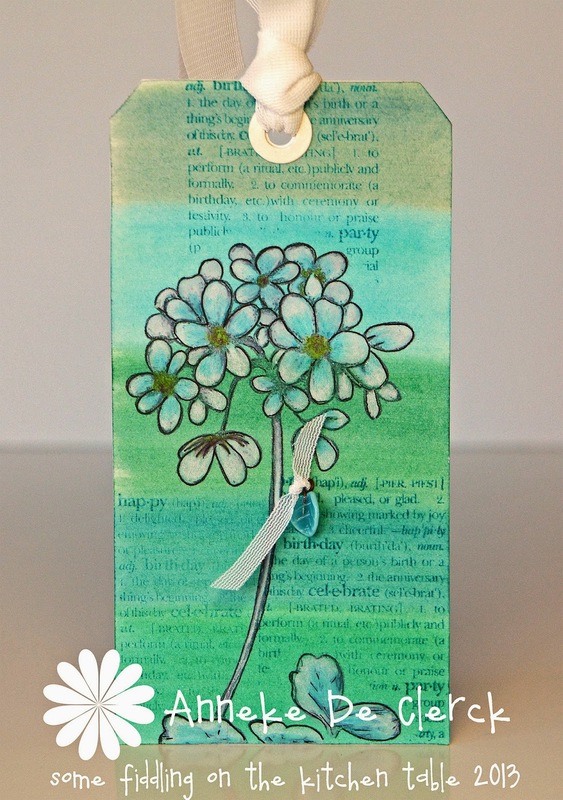 I am delighted to have persuaded Anna-Karin Evaldsson to be a part of the Craft Stamper family. 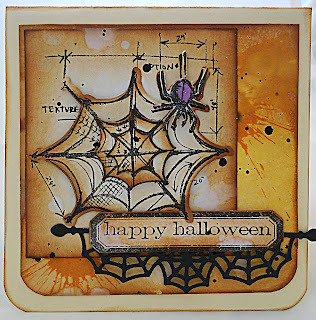 Anna-Karin is ridiculously talented and I have to say I've rarely seen a stamper so versatile. And she also scrapbooks pretty darn well too!!! Here's just a small sample of her gorgeous work! I hope you'll join me in welcoming Anna-Karin to the team. You can see her first project in the December issue, out on sale on 1st November and more of her fabulous work on her blog. Coming up with our next issue is this fantastic free stamp, which has been created by our very own graphic designer, Emily Hilton. As I am sure you know, the Movember campaign for male cancer awareness has gathered pace over recent years. So our stamp this month is designed to help you make cards that recognise and support this good cause. 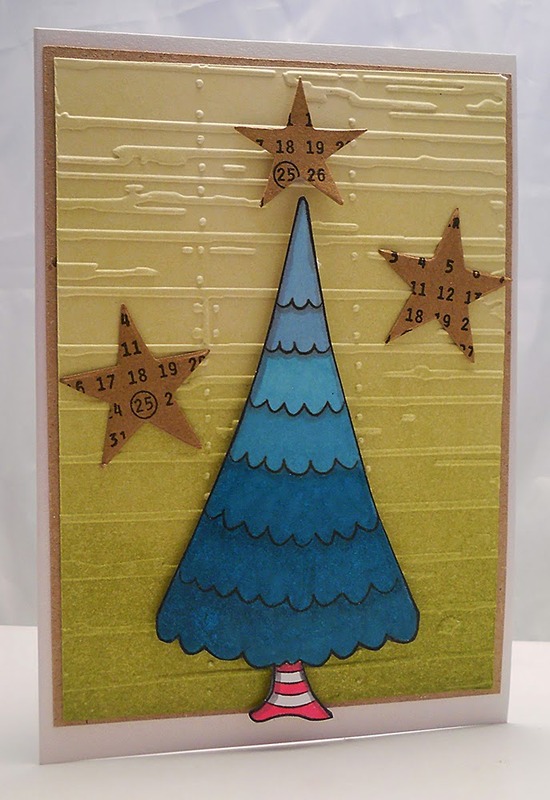 It's also the perfect set for embracing the geek chic trend, for creating cards for men and teens,or just for making your designs a little bit quirky, like this fabulous make by Kim Costello. If you want to take your designs further, this stamp co-ordinates with one of our sets of Squidgy Pins available here. The November issue is on sale 4th October - don't miss it! We are now welcoming reader submissions for our READY SET STAMP gallery for 2014. This gallery for for quick and easy stamped cards that can easily be completed in half an hour or less. JANUARY 2014 - HAPPY NEW YEAR!